Directed by Regina Balaguer since 1997, critics consider it one of Cuba´s most important ballet companies and an example of the legacy of Fernando Alonso, professor, dancer and founder of the Cuban Ballet School. As BC director between 1975 and 1992, Alonso revolutionized classical dance instruction in Cuba, introduced by Professor Vicentina de Torre in November 1967. The company has complimented the legacy of its distinguished predecessors with a renewed repertoire that includes ambitious projects such as their 2016 premiered Carmen, to mark the 49th anniversary. The company selected a famous version by German choreographer Peter Breuer, director of Austria´s Salzburg Ballet Company, which won the International Maya Plisetskaya Award, in honor of the former lead dancer of Moscow´s Bolshoi Ballet Company. The successful premiere ratified the prestige gained by the company over fifty years and corroborated by a more than 260 piece strong repertoire and acclaimed performances in Europe, Asia and Latin America. Shortly before the premiere of Carmen, Regina told this newspaper that she had seen “the company grow and receive excellent reviews wherever it performed, as recently in Spain and Italy and during the International Maya Culture Festival of Mexico, where all three performances sold out”. 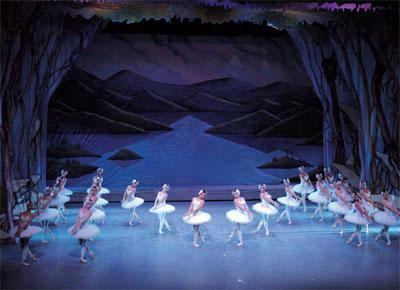 In 2016, the Camagüey Company also premiered its own very well received version of Giselle at the Gran Teatro de La Habana during the International Ballet Festival, featuring an almost entirely new cast. 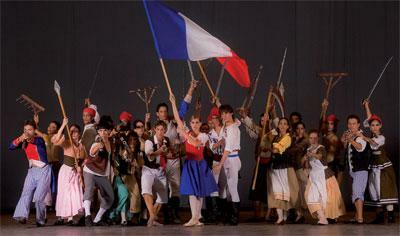 The company also staged classics such as Don Quixote, Saerpil and La Llama de París last year. The institution has, since its foundation, worked with Kirov Ballet Company star, Elena Vinogradova, Jorge Lefebre, artistic director of the Royal Ballet of Wallonia, Belgium, the Mexicans Federico Castro and Javier Carranza, and Cuba’s own Alberto Alonso. In recognition of its work, the BC has received the Cuban Council of State awarded Distinction for National Culture and the Espejo de Paciencia Distinction, the highest cultural recognition.